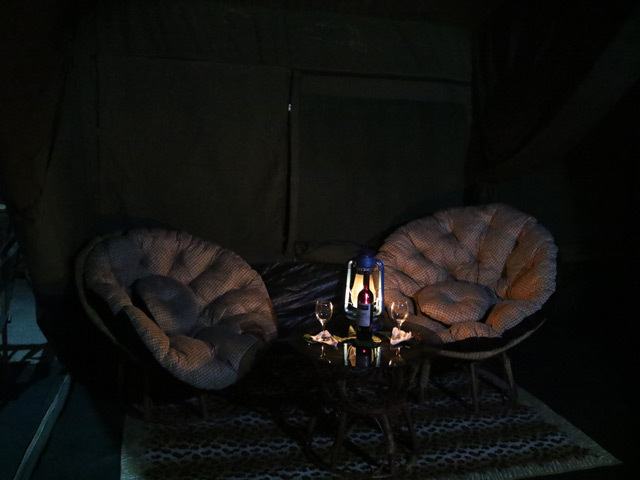 Infinito Safaris and Motsomi Safaris are two of the most respected Outfits in South Africa. 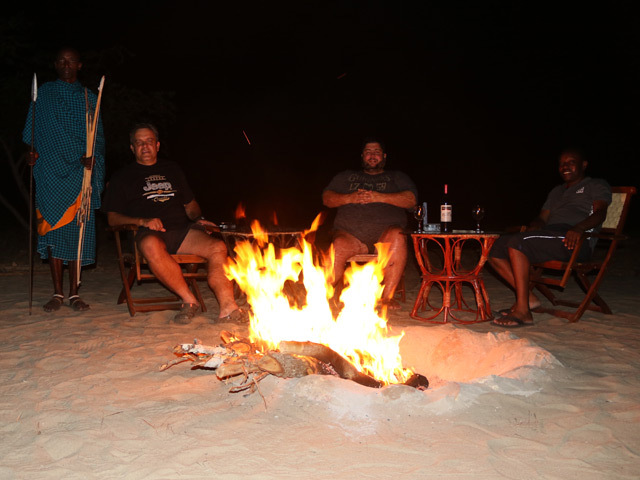 Both Pieter and Charl, as Principals of their respective business have fast experience in hunting other African countries in partnership with resident Outfitters and offers over 70 years of combined hunting experience to the travelling hunter. In 2017 the opportunity to invest in their own hunting block in Tanzania presented itself. After visiting the area themselves, and spending time there, they signed an agreement to hunt the Nalika WMA in Southern Tanzania, for the next 5 years from 2018 to 2022. Fly from New York to Amsterdam (7hours) and lay over for 2 and half hours. 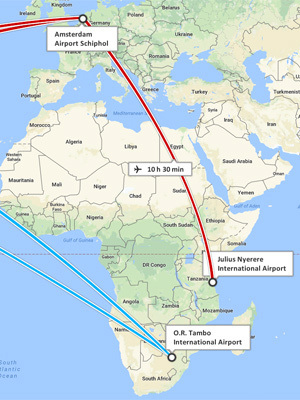 Fly from Amsterdam to Dar Es Salaam (10 hours). You pay this feeArriving in Dar Es Salaam, you will be met and assisted by one of our staff there, and taken to your 5 star hotel in Dar Es Salaam. The next morning early you will fly to Songea airport (2hours) where your PH and a driver will meet you. The drive to the camp is now approx. 5 hours. We cover all this cost in your fees. 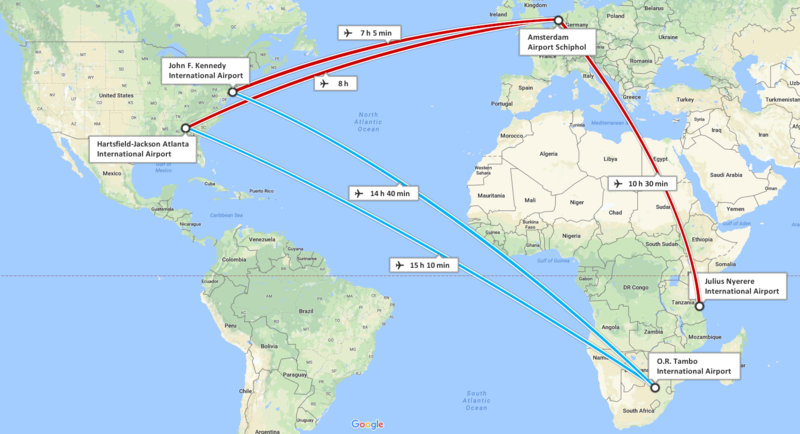 Fly from New York or Atlanta to Johannesburg (15 hours). Meet and Greet by Go2 Safari Concierge who takes care of everything. From clearing your rifle to getting you to the hotel room. 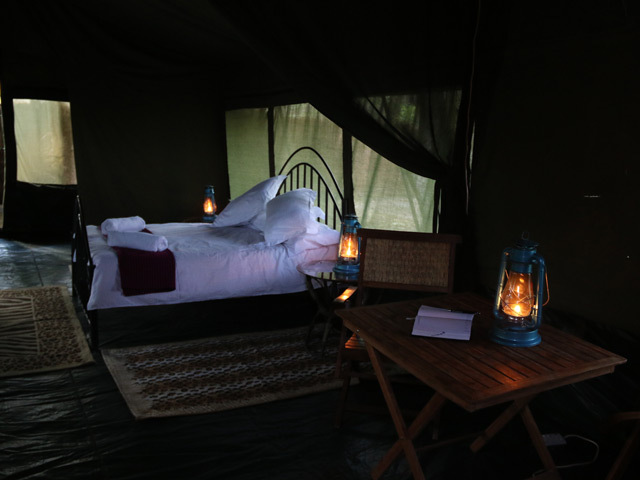 Sleep over in Johannesburg. You cover this cost.Arriving in Dar Es Salaam, you will be met and assisted by one of our staff there, and taken to your 5 star hotel in Dar Es Salaam. The next morning early you will fly to Songea airport (2hours) where your PH and a driver will meet you. The drive to the camp is now approx. 5 hours. We cover all this cost in your fees. The hunting Block is approx. 1800km2 OR 450,000 ACRES big. And forms part of the Niassa/Selous Wildlife Corridor, in Southern Tanzania. This vast wilderness is famous for it’s huge migratory Buffalo and Elephant herds, with healthy populations of Lion and Leopard. Ultimate Tanzania Safaris entered into a strategic management agreement with a Tanzanian company to have full management and hunting rights to Nalika WMA. The block is a community driven incentive, and our involvement in this community will be vital to the sustainability of the hunting area. Take note that there are no cattle or people in the hunting block. 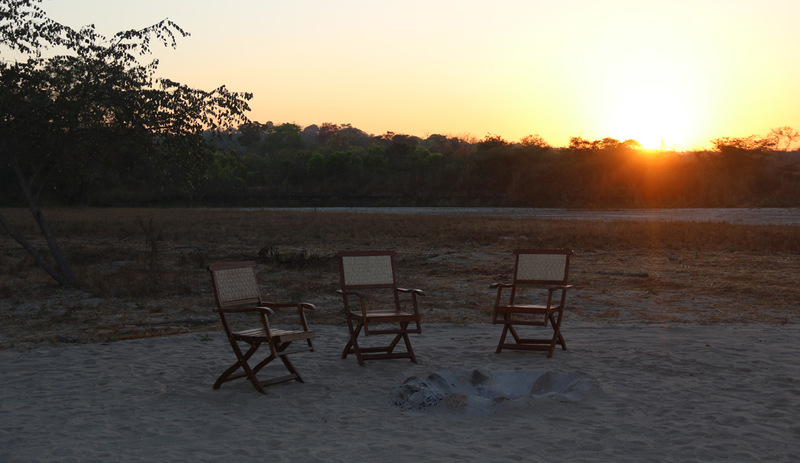 It is a truly wild expansive wilderness area with Elephant, Buffalo, Lion, Leopard, Hippopotamus, Crocodile, Sable, Eland, Reedbuck, Waterbuck, Bushbuck, Impala, Kudu, Zebra and many more species abound. We make it AFFORDABLE because of our unique pricing structure. It is also not our only source of income, but an added hunting option for our existing client base. We make it very ACCESIBLE as you can fly commercial to the area to within only a 5 hour drive from camp! Hunting vehicles: Are very well equipped 4×4 vehicles, rigged to make your transportation and recovery of game as effortless as possible. Medical: Tanzania is a malarial area and precautions must be taken. Consult your physician. 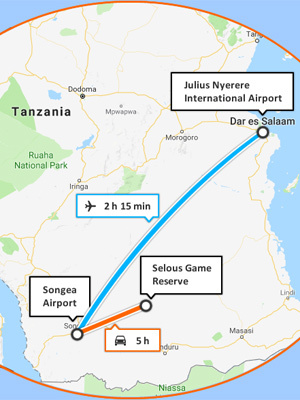 Travel arrangements: Fly into Dar Es Salaam, pick up by UTS representative and taken to the Sea Cliff Hotel, next day fly out to Songea on a commercial flight, pick up by UTS representative and driven out to camp. Same arrangements at conclusion of the safari. Visa Requirements: You will need a Visa which can be obtained at the airport or ahead of time. Electricity: 220V AC supplied via solar and/or generator. Camps do have US adapters. Climate: Daytime July and August 75° F to 85° F and at night 64° F to 72° F.
Daytime September and October 85° F to 95° F and at night 70° F to 80° F.
– Hunting season 1 July – 31 December, driest period July – mid November. – No hunting of female, young or immature animals. – Hunting is only to be conducted in the daylight hours. – Hunting is strictly regulated by a quota system there for we need to know what your wish list is to ensure quota is available.